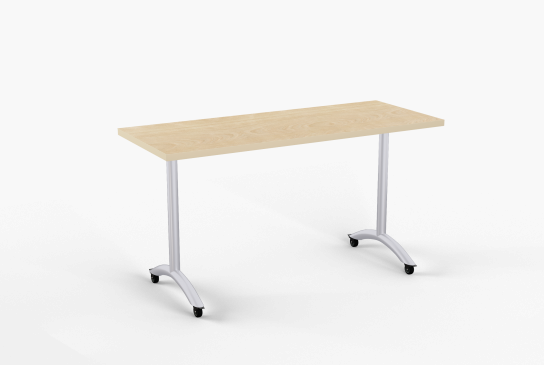 SlimFlip is a flip top version of our most popular Kingston table. It features a simple to use one point release mechanism. Locking dual wheel casters are standard with T-Legs for easy mobility and nesting. Optional arched T-Legs are standard with skate casters. Heavy duty beam prevents top from sagging.